The weather was ever changing on our drive from Olympic National Park to Mount Rainier National Park. We had heavy rain, light rain, sunshine, sunshine with rain and just cloudy. It kept changing and I think I wore out the wiper control during this drive. Did the visitor center close already? The big question: Can we make it before the Paradise visitor center closed? 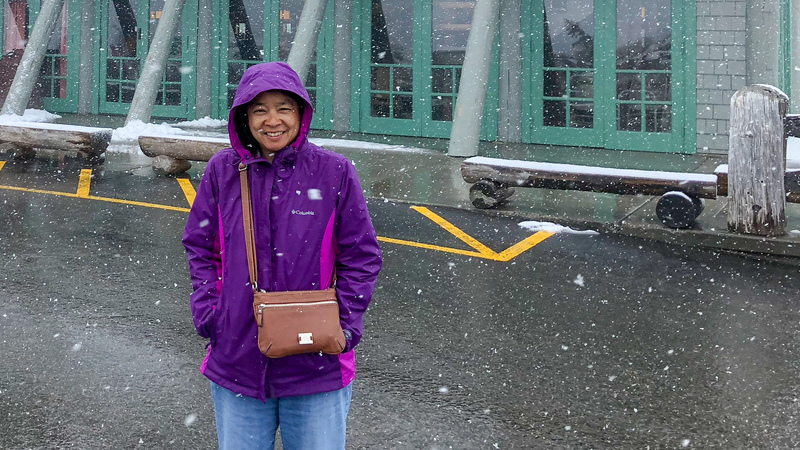 Google showed the visitor center closing at 8 pm so we soldiered on in rain and snow even though we didn’t get to the park entrance until 5 pm. The ranger at the gate said there is a visitor center at Longmere, just 6 miles up the road and it closes at 5:30 or 6:00. We can barely make it! I figured there was enough time to get there and get the lay of the land, including road closures since it was still early in the season. As we drove past the Longmere museum and lodge, there was no sign of a visitor center. What gives? We kept going to towards the Henry Jackson Memorial Visitor Center at Paradise. The car had to work hard as we climbed and our ears popped. The rain turned into snow as the outside temperature dropped to 34 degrees. Big, fluffy flakes of snow fell on this June evening. There were a couple of dozen teenagers frolicking in the thick snow banks around the visitor center even as heavy snow fell. They were so happy and excited, perhaps they came from an area that didn’t snow or this was the first time they saw snow. Their energy was contagious! I had a small pile of snow on my head and on my jacket by the time I walked from the parking lot to the door of the visitor center but only to find the door locked and a sign that said they closed at 5pm! Disappointed, we headed for the gift shop at Paradise Inn and of course, it was open! Paradise Inn is a historical building that is gorgeous and iconic of the historic national park lodges. It is beautifully rustic with large fire places and high pitched roof. I sat in the lobby by the roaring fireplace just to soak in the rustic atmosphere. There was no vacancy when I tried to book it 6 months ago, and this wasn’t even peak season! There weren’t too many dining choices in Ashford, where we stayed for the night but there was a Nepalese / hamburger restaurant. They were really a Nepalese restaurant but added burgers to appeal to the more traditional types. 90% of the people there had Nepalese dishes and almost every table ordered Momos (like Chinese dumplings) so we ordered it too. 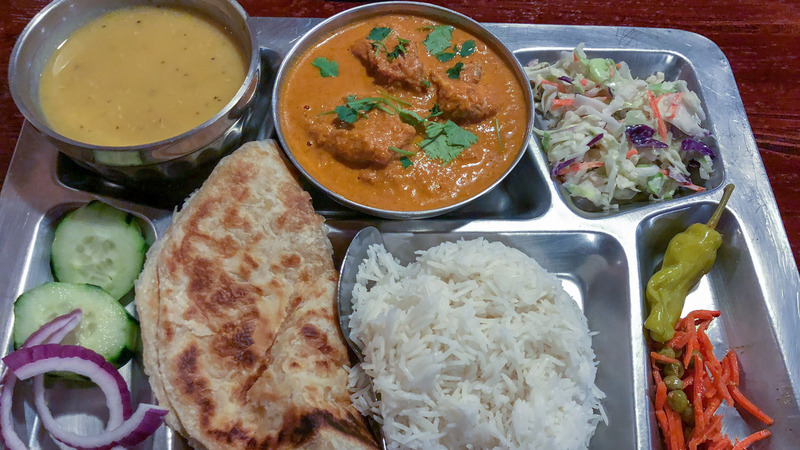 The food was excellent and to find such culinary diversity in such a small town was amazing. The owners came from Nepal and the grandfather was a professional Sherpa guide to Everest before they moved to Washington 9 years ago. He climbed Everest 50 times, guided hikes to Mount Rainier and Denali and just recently retired. He scaled Rainier more than 95 times! They came to Ashford because they wanted to be near a tall mountain which made them feel more like home. This is the same story we got from the owners of a Nepalese restaurant at Estes Park near Rocky Mountain National Park. These are the great people stories that made visiting these national parks so much fun. The next morning, we met couple at the hotel breakfast area who were planning their day in the park like we were. They were doing the same Seattle / Alaska trip, but in reverse order. We traded stories of hiking in national parks and the impact of lingering snow in the spring to hiking in places like Rocky Mountain National Park. She was talking about 10 mile hikes, to which we grinned but knew that is beyond our ability. There are three types of visitors at national parks. The “theme park” crowd who drive in, stop at a few key sights, take some pictures, maybe walk around for 1/4 mile, and hop back into their cars or tour buses. Most are not well prepared and some come in flip flops and sun dresses. They don’t usually say hello as they pass you on the trail. Leave no trace behind means nothing to them, and they will hop over barriers for that perfect picture, often doing some kind of crazy pose with arms up. The national park day hike people, like us, are generally well prepared with hiking boots, layers of clothing, and water. They will hike short to moderate distances on a day hike, but prefer drive up camp sites, RVs or hotels. They always follow the leave no trace behind motto, and come in all ages. These people stick to marked, maintained trails and always say hello as you pass them on the trail, and love to talk about their hikes and adventures. Then there are the back country people. These are the people who enjoy multi-day backpacking trips into the back country. They are hardy, generally young and fit, know how to find their way and are well prepared. They love nature, solitude, adventure, and achieving goals. And yes , they always say hello on the hiking trails. After breakfast and the friendly chat with our fellow day hikers, we set out for our day long trip into the park. The drive up to Paradise felt very different on this sunny morning. 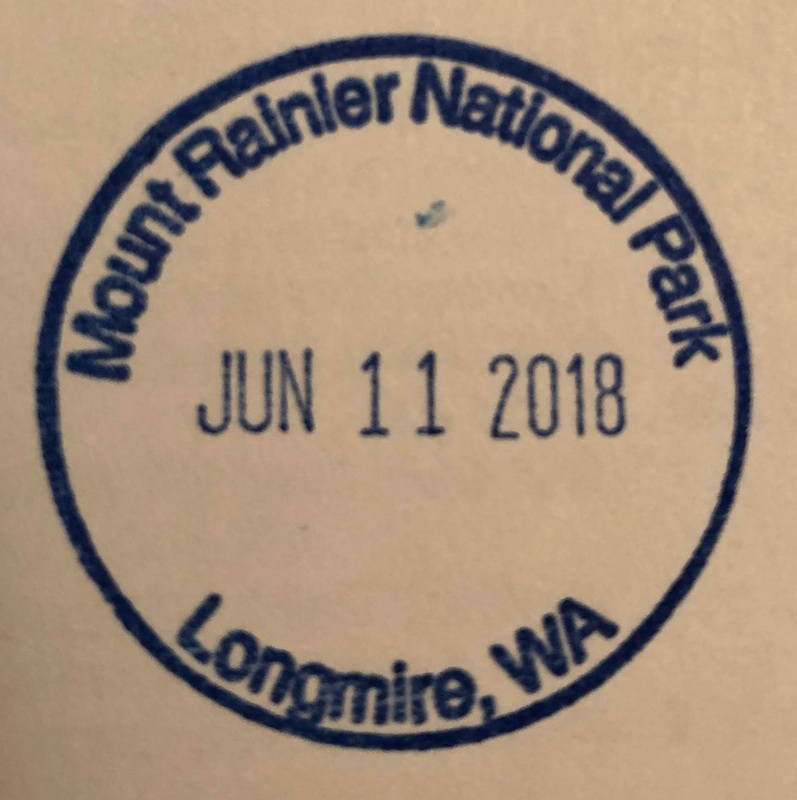 We stopped at Longmere Wilderness Center to get the stamp and get some hiking suggestions from a very friendly ranger from Florida. All Paradise area trails were still snow covered, and Sunrise Point on the northeast side of the park was still closed due to the winter snow, so our visit will be confined to the southern part of the park. We took the Carter Falls trail as our first hike of the day. The clouds were back and there was a chill in the air as we set out among the rocks by the river. We crossed a log bridge with railing on one side and into the thick old growth forest. Mount Rainier was hidden by the clouds. The trail was a steady climb through a beautiful forest with tall trees, moss, lichen, and fern before a steeper climb that ended just before Carter Falls. It was a nice waterfall, but there were better ones as we found out later. The view of the fall was somewhat obstructed by the trees but it was still nice to see. Just a little bit up the river was Madcap Falls. While it was more of a cascade than a classic waterfall, the view was unobstructed. This was a pretty good reward for the hike. After we got back over the log bridge to the riverbed, there were a lot more people, some loud and many posed for pictures with all kinds of poses. Looks like the theme park crowd stayed on this side of the bridge and did not venture further. Next was Christine falls, a very short but somewhat steep walk down to an observation point for a fantastic view. This was more dramatic than Carter Falls and framed by a stone bridge. For people who can’t walk too far, this was a fantastic stop. We knew there was something to see when we came upon a big parking area even though the scenery from the parking lot was mundane. 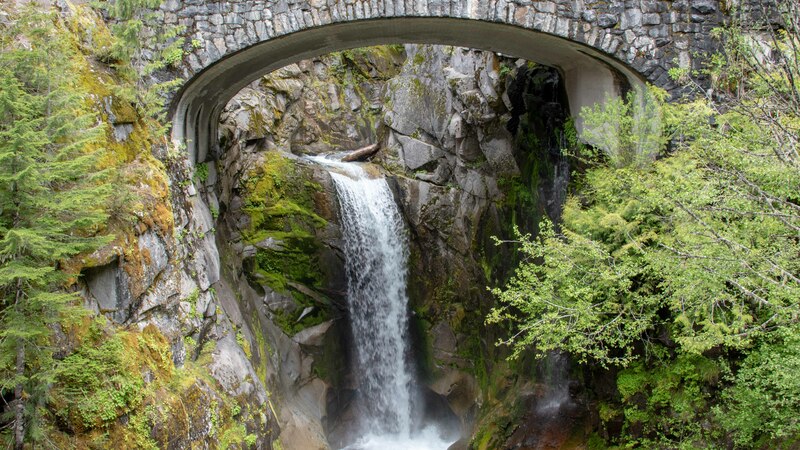 The road went over the top of Narada Falls but the fall was not visible. A short trail led to a viewing platform that was still a little snow covered. 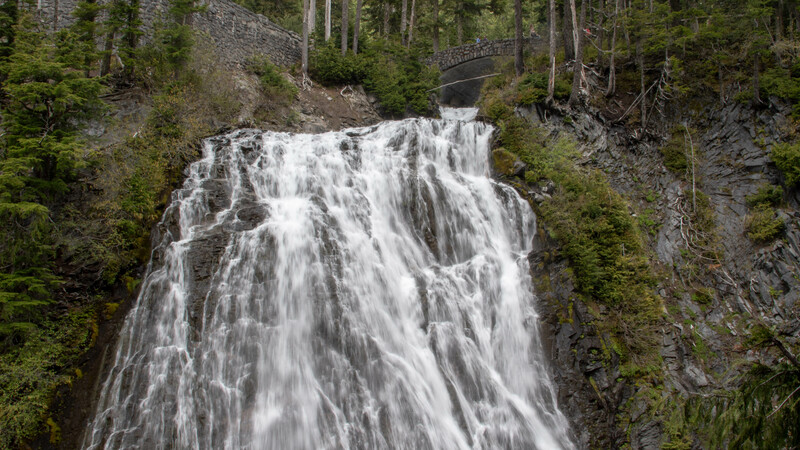 As we came around the bend of the trail, and Narada Falls came into view, it became clear why the parking area was big. This was the widest fall we saw in the park, and one of the taller ones. It starts as a cascade, then became a classic waterfall at the bottom, with water pouring into a deep green pool. Thunderous sound made conversation difficult and mist blew towards the platform. The sun was playing hide and seek and whenever it came out, a beautiful rainbow appeared at the bottom of the fall. This was reminiscent of Vernal Falls in Yosemite. 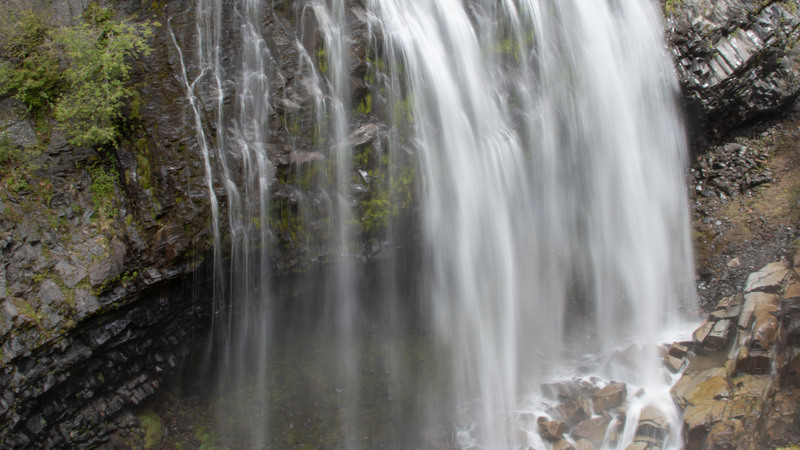 Narada Falls is a must stop at Mount Rainier. Henry Jackson Visitor Center and the Paradise Inn complex was the main area for visitor services. The feel was much different in the partial sunshine and calm winds compared to yesterday’s heavy, wind blown snow. The parking lot was full, the lines long to talk to the ranger and to get food at the café. 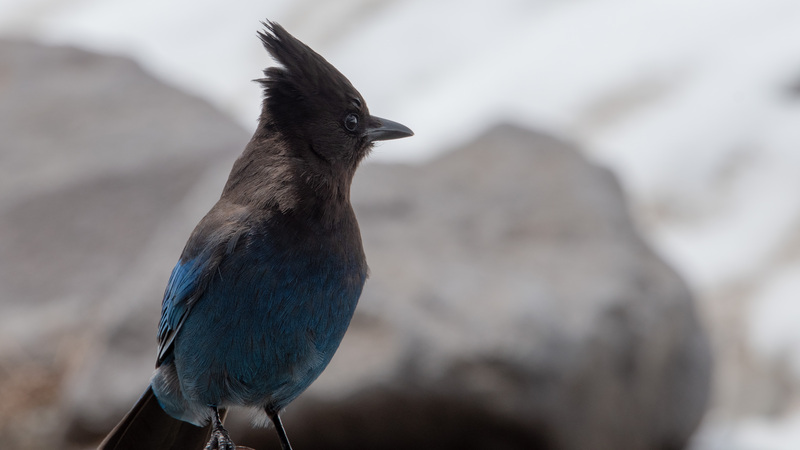 We watched the excellent movie about Mount Rainier and the diverse ecosystems, got some very expensive but not very good lunch from the visitor center café, found a picnic bench, and waited…. and waited….. and waited for Mount Rainier peak to show itself. I set up the camera for time lapse but for most of the hour, it was solidly behind clouds. I really, really want to see the peak! Paradise visitor center was where the theme park crowd gathered. They paid no attention to the ropes that cordoned the area to protect vegetation just emerging from the retreating snow cover, so fragile at this stage. They trampled them to get into position for that posed picture and fed the birds that came begging for food, so habituated with people one of the birds came right onto the picnic table and took a bite out of a muffin a kid was eating. Will we see the peak? The lesson here was to bring our own food and find a much less congested place for a picnic. There were plenty of those scattered throughout the park that would have been much more peaceful and enjoyable. Like yesterday, the theme park crowd loved the snow that was still very thick in the hills around Paradise. They built snowmen and had snowball fights while posing for pictures by the snow. Perhaps they have not seen snow before. They were truly excited and having fun. Time lapse photo of the peak was a bust at Paradise, and my hopes of seeing the peak was fading fast. We continued our drive eastward with brief stops at various scenic points, such as Stevens Canyon. While at Paradise, the western side of the peak and the peak itself was consistently in the clouds but the eastern side of the peak was clear with blue sky. As we worked our way east, the peak got more and more visible. Perhaps we will get to see the peak after all! The short (0.5 mile) loop took us upstream and as we walked the trail, the peak of Mount Rainier came into clear view against the blue sky in the background. We saw the peak clearly! Needless to say, many photos were taken. The snow and glacier covered peak was beautiful in the afternoon sun. What a sight! Actually, it’s not that uncommon to see the peak of Mount Rainier. It towers over the region and you can see it from SEA-TAC airport, but it’s still awe inspiring! For a park that has a 14,000 foot mountain as the central theme, there was a lot of diversity. By now, we saw mountains, waterfalls, old growth forest, glaciers, glacier carved valleys, and canyons. Next up was huge trees. The Grove of the Patriarchs was an excellent short (less than one mile) trail with a boardwalk path that meandered through some really big firs that went straight up into the sky. While they were not as tall as the Redwoods or the Sequoias, they were just as magnificent. This was another wonderful trail that led to special, beautiful scenery. Mount Rainier National Park was the 5th oldest national park, and the first one with a master plan at the start. It was specifically planned with roads and trails constructed for the most beautiful views. The result was an accessible and enjoyable park for the car crowd, and a wilderness experience for the back country people. 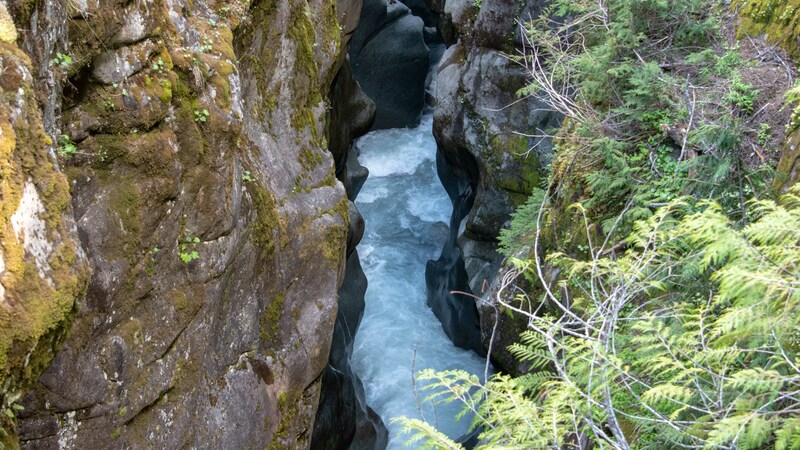 Great back country trails, such as the Wonderland Trail, which looped all the way around the mountain for 93 miles of back country hiking, is excellent for back country hikers, not to mention the challenge of scaling Mount Rainier itself. The challenge of climbing the tallest peak in the lower 48 states calls more than 10,000 people each year to take it on, but only about half actually make it to the top. 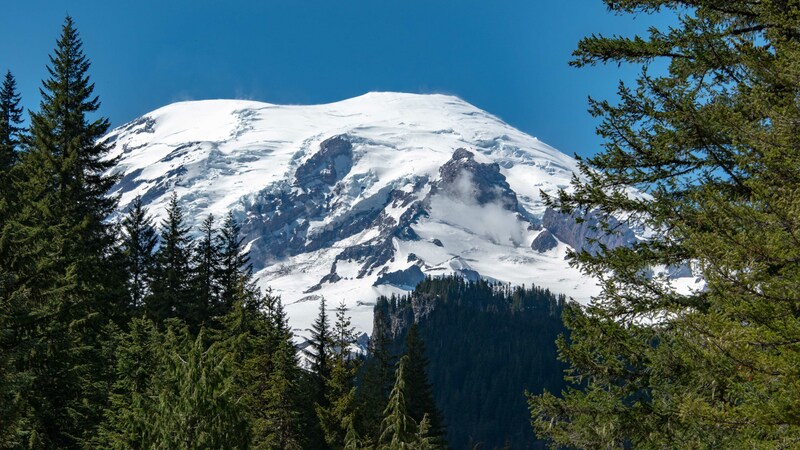 Any successful venture requires careful planning, just like the well planned Mount Rainier National Park resulted in the best scenery and great accessibility for all to enjoy. Mount Rainier is a fun park to visit. It has a central theme – the mountain itself – but that is not the only point of interest. 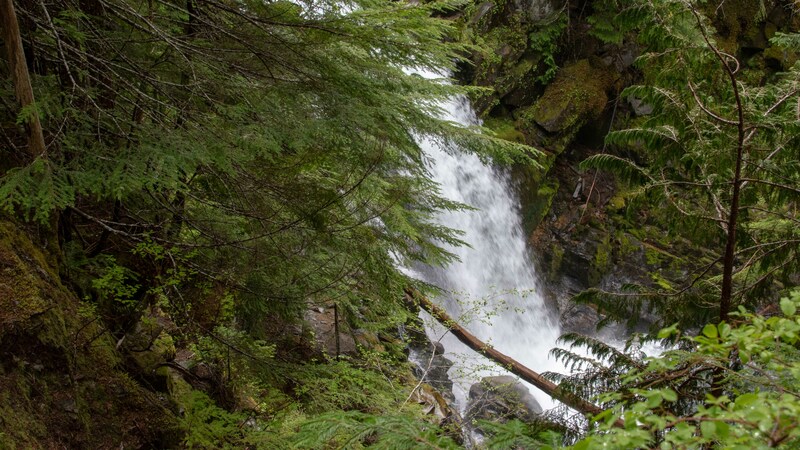 The trails through old growth forest, the waterfalls, the glaciers, the big trees, the canyons all add to the fun, and we didn’t even visit Sunrise Point, the highest point reachable by paved road and known to have dramatic views of the mountain. Nor did we visit the northwest corner known for a real temperate rain forest. Many of the best sites are accessible via a short walk from the well planned and maintained parking areas. 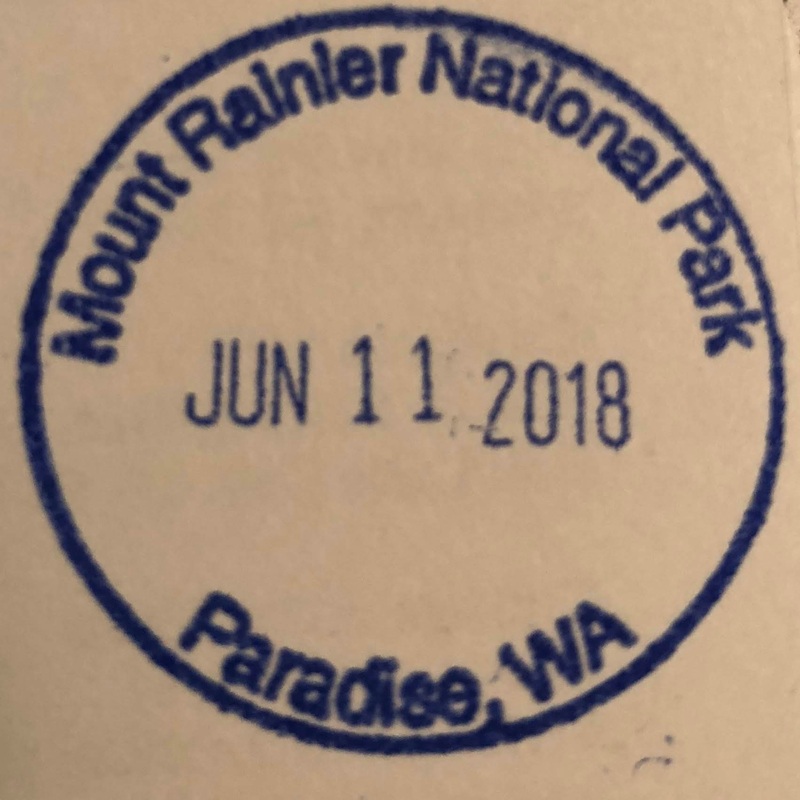 Have you visited Mount Rainier National Park? Leave a comment below on your experience. Drive the WA 706 road in the southern part of the park, from Packwood to Ashford. Stop at Grove of the Patriarchs, Box Canyon, Stevens Canyon, Paradise, Narada Falls, Christine Falls, Carter Falls, and Longmere museum. Take the walk or the hike at each of these stops. A long day to be sure, but a rewarding day. If you have more than one day, spend the second day at Sunrise Point and the northwest corner of the park for a walk in the rain forest. Of course, if you have the ability and the skill, climbing Mount Rainier is a challenge of a lifetime. Dress in layers. Temperature can vary dramatically depending on elevation. Fuel up before you enter the park. No fuel service available in the park. Bring a picnic. There are plenty of places to have a picnic and avoid the expensive but mediocre food at the café. Paradise Inn restaurant may be much better but we didn’t try it. 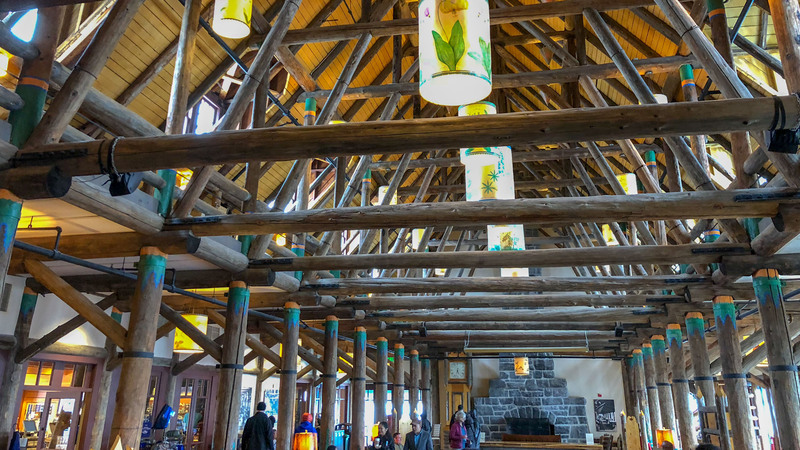 Paradise Inn is an iconic lodge in the motif of national parks. It is beautiful and worth at least a short stop to soak up the ambiance. If you want to stay there, you need to reserve well in advance (6 – 12 months ahead). Be prepared for no cell reception at the park, or at the gateway communities of Ashford and Packwood. With AT&T, we didn’t have cell service at or for many miles before either of those towns. If you don’t see the peak from one side, go to the other side and wait a while. The weather changes constantly. The peak is so tall it creates it’s own weather pattern. Like our visit, it was not visible from Paradise, but was clearly visible from Box Canyon. A great view of the whole mountain was actually from SEA-TAC airport! The full grandeur of the mountain came across vividly from afar. Plan for the right time of the year to visit according to your interest. The park does not completely open until late June or early July due to snow, and start to shut down in September. It is accessible in the winter for winter activities like snow shoeing. Entrance Fee: $30 per vehicle.